Radio personality and voice actor Casey Kasem passed away on Father’s Day, June 15th, at the age of 82 in Gig Harbor, Washington. 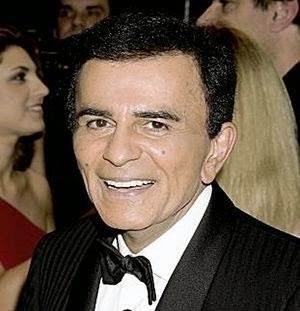 Known for hosting many countdown music shows on radio and television, including “American Top 40” and “American Top 10,” Kasem also served as the voice for “Scooby-Doo” slacker Shaggy Rogers for approximately 40 years. After becoming diagnosed with Lewy body dementia in the mid-2000s, Kasem was eventually placed on end-of-life measures at a hospital by his daughter Kerri at the beginning of June 2014. The disc jockey began his career during the Korean War as an announcer on the Armed Forces Radio Korea Network in the U.S. Army. When he returned home, Kasem worked at several radio stations across the country before starting the weekly “American Top 40” show in July 1970 out of California as a way to provide listeners with the most popular songs in the nation. “I really don't think it's that I have a God-given voice that's so special. I just found a showcase that made good use of my particular voice. It's all storytelling,” the icon said in a 1990 New York Times profile. For his efforts, the DJ was recognized with a star on the Hollywood Walk of Fame, as well as inductions into the National Radio Hall of Fame and the National Association of Broadcasters Hall of Fame. Even though Kasem retired from radio permanently in 2009, fans who wish to reminisce and listen to his previous shows can tune in by downloading the free iHeartRadio mobile app, and selecting the “Classic American Top 40” station which offers former broadcasts from the 1970s and 1980s. RIP DJ Casey Kasem. One of the greats of American radio. RIP Casey Kasem who inspired all of us in radio & turned millions of people onto music.Sending love to @KerriKasem, family and friends.